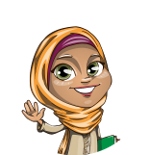 What does Humaira (Muslim Arabic Name) mean? The name Humaira (Arabic writing : حميرا) is a Muslim girls Names. The meaning of name Humaira is " From the arabic name meaning reddish! Title name of Aisha RA one who strives to achieve her utmost best! "